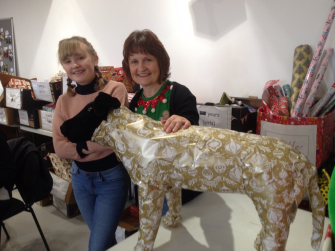 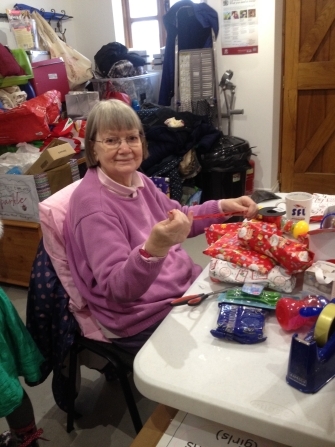 We rely on the work of our fantastic volunteers to help wrap all of the gifts that are donated. 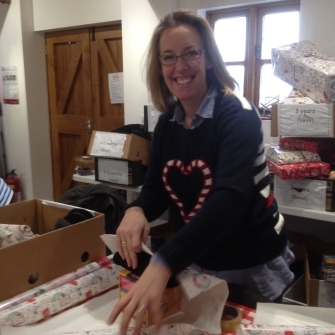 We host a number of wrapping events in the run up to Christmas, which run between 10am and 1pm. 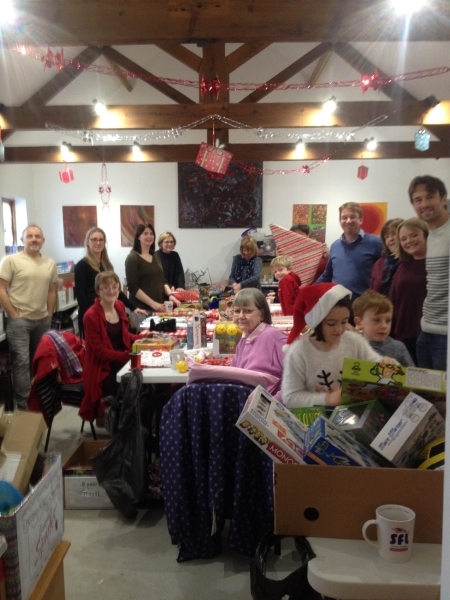 We welcome anyone who can spare an hour of their time to come and give us a hand - we'll even have tea/coffee and mince pies waiting for you! 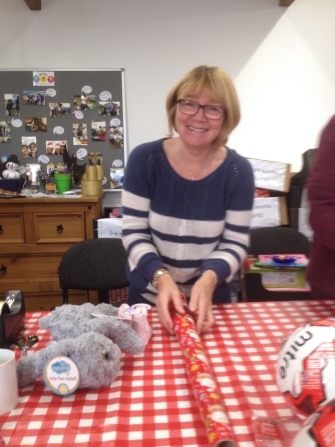 Some of our wrappers, hard at work.